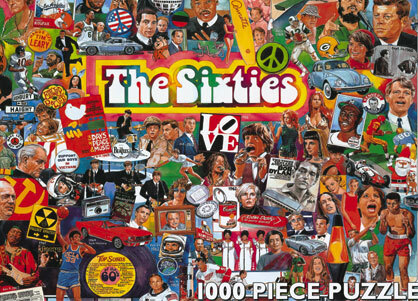 The sixties sounds like such a long time ago. 5 decades ago. Half a century ago. 50 years ago. And it is a long time back. There is virtually no industry that uses technology that was invented in the sixties. Can you imagine driving a car invented in that era (even we Indians have given up on the Ambassador and the Premier Padmini)? How about going to a doctor who hasn’t updated his knowledge since the sixties? Well there is one field of specialization that still used technology invented in the sixties or earlier. That field is Marketing. Marketing still uses some really old technology. There are people who still talk about the Unique Selling Proposition or the USP. This was a concept that was invented by a man named Rosser Reeves, who worked for Ted Bates & Company in the 1940s. We still use the AIDA model to understand consumer behaviour. AIDA stands for Awareness, Interest, Desire and Action and attempts to explain the various stages through which a consumer passes before he or she makes a brand choice. This model was invented in 1898 (yes, you read right, it was in the nineteenth century!) by a man with the colorful name of E. St. Elmo Lewis. Mr. Elmo Lewis was an insurance salesman and invented the concept to help train others to sell life insurance. He would not be out of place in today’s world. The concept of “Marketing Mix” was introduced to the world by a Professor at Harvard Business School named Neil Borden in 1953. At that time he was building on the ideas of his colleague, James Culliton who had first compared cooking recipes with marketing in 1948. The ingredients that went into the Marketing Mix then are the same as now. Another Professor, E. Jerome McCarthy of Michigan State University, came up with the idea of 4Ps. He did this in 1960. Some people have attempted to add a P or two more to that original concept, but really the idea is still very much the foundation of marketing thought all over the world. No discussion in marketing ever takes place without the word “Positioning” coming up. This was an idea first proposed by Jack Trout in June 1969 in an article that he wrote in “Industrial Marketing” magazine. Later he wrote a book called “Positioning” along with Al Reis in 1981 that became a global best seller. 1981 sounds so recent, but please remember that even that is now 30 years ago. Marketing strategy really came of age when Stanley Pollitt invented the concept of account planning in advertising agencies. Mr. Pollitt felt that marketing decisions were being made with inadequate data and insufficient thought, so he invented a research based process that improved the quality of marketing strategy. When did he invent this? 1965. Many of the ideas and processes that Mr. Pollitt and his contemporary, Stephen King (not the novelist, the planner in JWT who some consider to be the father of account planning) used in the 1960s are still in vogue today. Marketing strategy uses research and one of the most important research techniques in use today is the focus group discussion (FGD). This was invented by an American sociologist named Robert King Merton who first conducted an FGD in 1941. Later he published a book on how to use this technique in 1946. Mr. Merton’s ideas were used in full glory by Ernest Dichter who is considered to be the “father of motivational research”. Dr. Dichter was the first person to apply Freudian principles of psychoanalysis to marketing and thus invented psychographic segmentation and everything that goes with it. Dr. Dichter did most of his work in the forties and fifties. His methods find prominent mention in the 1957 book, “The Hidden Persuaders” by Vance Pickard. The question now is this. Are all these old ideas still valid? These were ideas and tools that were created for a different era. An era where consumers were more innocent of the tricks of marketers and advertisers, an era when there was no internet or social media, an era when mass media was really mass and dominant, an era where brands had power over retailers and not the other way around. These ideas were created to be used to market mostly packaged goods. I need hardly remind you that the world has changed dramatically since the 1960s. How can we still be using the ideas and tools of the 1960s to solve the problems of the 2010s? It is not as if there aren’t new ideas around. Several books and articles have been written about new ways of marketing (some of these books are listed on our Inspire page – click here). The problem is that as marketers, we are so comfortable with old way of working that we don’t want to adopt the new ideas. There is a lot of talk these days about revolutions and second independence movements. Well, marketing needs a revolution too where the old ideas are thrown out and the new ones ushered in. Coke Studio @ MTV: Where Is The Fizz?